Unbalanced utilization of vehicles often hampers peak performance of critical public services such as police, ambulance, fire protection, waste management, municipal services and airport ground handling. To offer fast, efficient and on schedule public services, vehicles on the field need to be connected and managed by the IT systems in service centers. Using telematics-based fleet management, service centers can establish a reliable real-time connection to fleets, allowing operators to monitor vehicle conditions and fleet operations, dispatch vehicles and respond to emergency issues. This well-planned solution can also enable service centers to identify any idle or overused resources so that optimizations can be made to the public services. In-vehicle computers are one of the most important core components in this IT system. 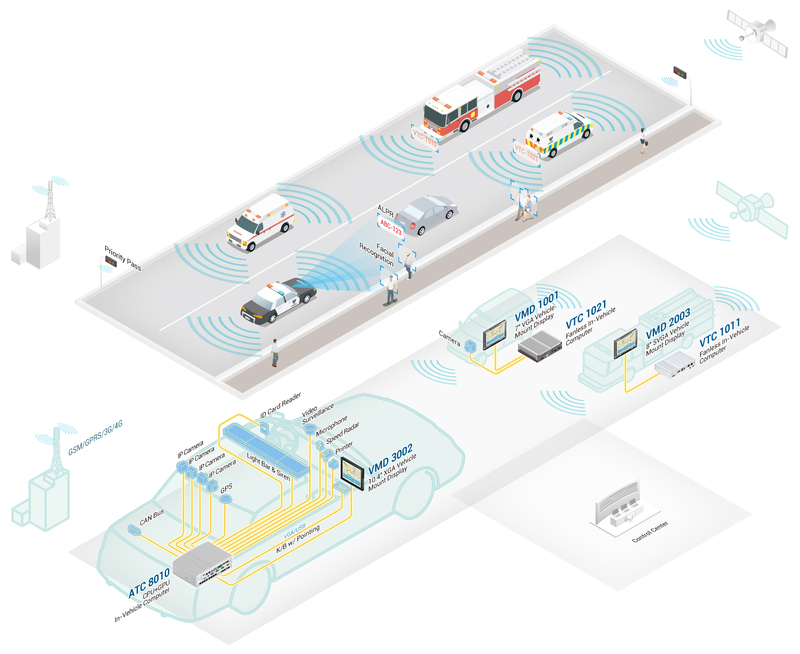 NEXCOM's in-vehicle computers integrate WWAN and WLAN communication and real-time satellite positioning to deliver an always-on, always-visible connection. 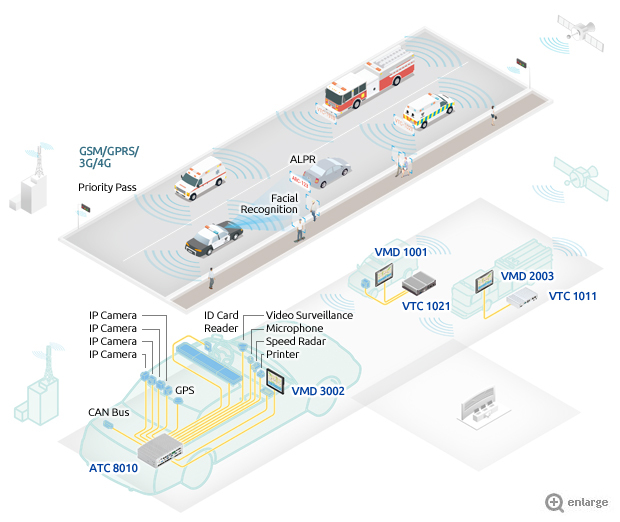 Combined with the ability to further integrate with vehicle sensors such as siren, fuel and door sensors, in-vehicle computers can provide up-to-date status information and location to service centers, allowing operators to identify and respond to events remotely.